Refining is the back bone in stock preparation stage as well as paper making. Hence each every paper mill is trying to adopt latest technology in refining. 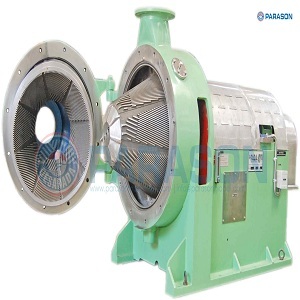 PARASON CONFINER is a modified conical refiner designed to enhance the bonding ability of fibers with a minimized freeness drop and minimum decrease if fiber length with low energy consumption and easy maintenance. Different patterns available in conical type. Patterns manufacture on high precision.